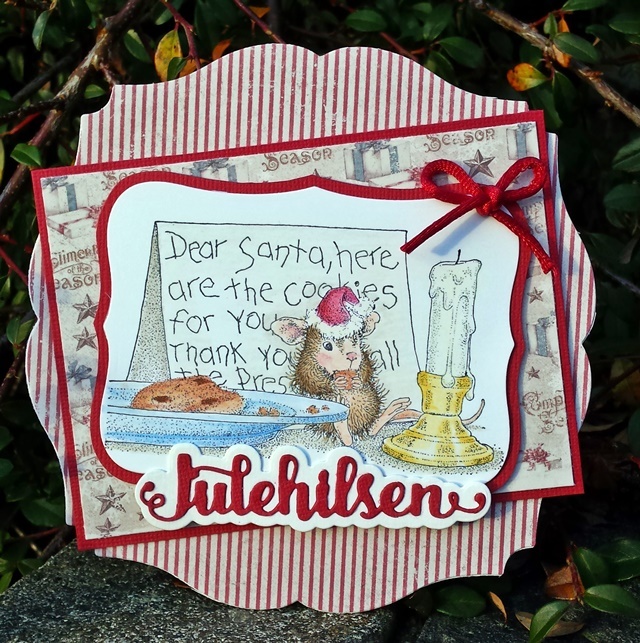 Hos Dorte: Something Warm, a DT card for HM&FMC. Hello and happy Monday out there! The team at House Mouse & Friends are here with a new challenge. Teammate Bunny is our hostess for the next two weeks. 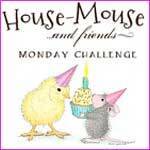 Please use a House Mouse, Happy Hopper or Gruffie image. 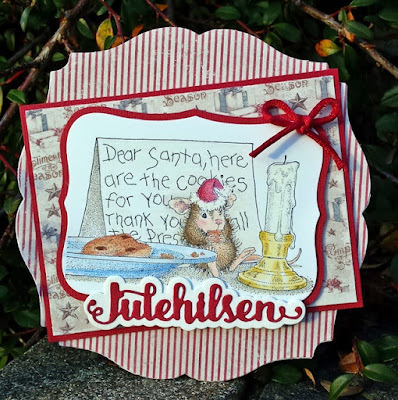 I've made a shaped Christmas card with this cute HM image 'Santa Cookies'. 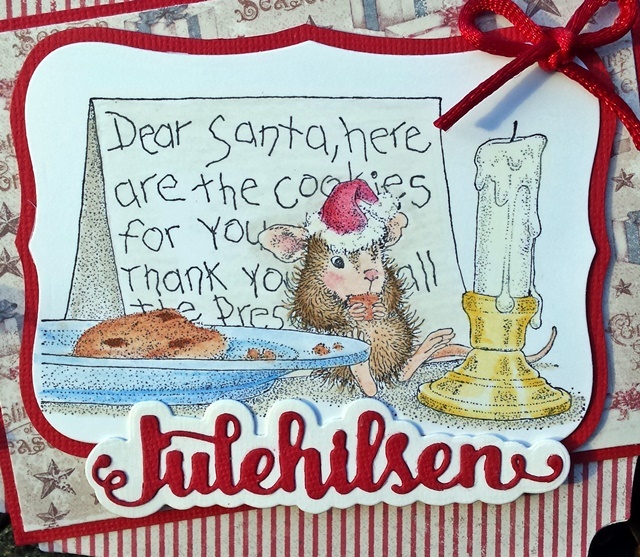 the one used for the stamped image is a Spellbinder die. 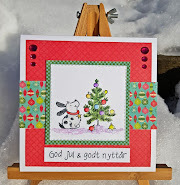 (Christmas Greeting) is cut out with a die from Papirdesign. The round red ribbon is a left over from this project. 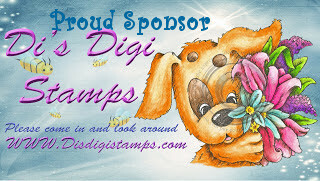 We have two faboulous sponsors from this challenge. 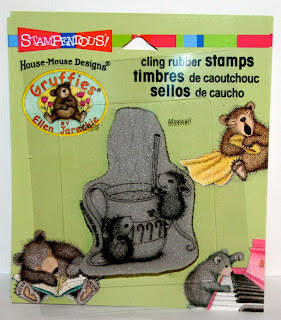 House Mouse cling stamp for a lucky random winner. Hi Dorte, loving the shape of your card, and the candy cane strip paper. Super cute image, colored up beautifully. Layers and design are awesome.